For anyone with chronic illnesses, it doesn’t take long for prescription costs to become overwhelming, especially with recent changes in the healthcare system in the United States. In addition to rising costs for medication, most preppers realize that prescription medications will quickly become unavailable when SHTF. Even those without chronic health problems will have a need for medication to treat illnesses and injuries in a post SHTF world. For this reason, many people are turning to natural remedies for present and future health issues. If you’re considering natural remedies to help with your health issues now or in a grid down situation, we’ve put together a variety of plants to grow for all natural healing for your SHTF Apothecary. As always, every person’s health history is unique and what works for one may not work for all. Please consult your own individual physician or holistic practitioner about how natural remedies will work for your specific chronic illnesses. It’s also critical that you learn to properly identify the plant you are going to use for an herbal remedy. You should research the herbs in your apothecary and know which part or parts of the plant are best used for medicinal purposes and which to avoid. Some plants can be toxic if prepared incorrectly or used the wrong way. Please keep in mind this article is for information purposes only, and is no substitute for medical advice. Neither the author nor modernsurvivalonline.com shall be held liable for any injuries or side-effects as a direct or indirect result of the application of the advice given in this article. 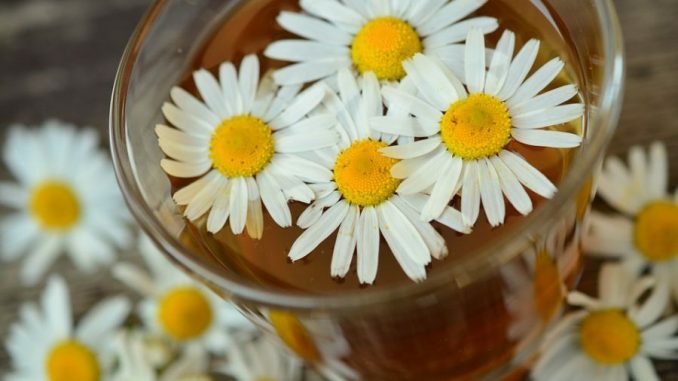 Herbal remedies are most often used as a tea or infusion by combining parts of the plant with boiling water and allowing the mixture to steep for a period of time. The standard for teas and infusions is one-half to one ounce of herb to one pint of liquid and steep for 10-15 minutes. Some herbs do require different ratios or steeping time so always double check the recipe for your specific herb and ailment. Extracting volatile elements from roots or bark of a plant is typically done through a decoction, which means cutting or chopping the pieces and boiling in water for 3-5 minutes and then straining. Tinctures generally involve steeping the herb in a mixture of water and alcohol for about 14 days, shaking occasionally, and then straining off the liquid to store for later use. A poultice remedy calls for the herb to be crushed or ground into a paste and then applied topically to the injured area. It’s important to know how to prepare each herbal remedy to ensure maximum effectiveness. But did you know that there are literally thousands of other herbs, flowers, and even weeds that you can grow for all natural healing purposes? Many preppers start growing medicinal plants for their SHTF Apothecary but soon discover that with proper physician supervision, it’s a great way to save money right now on your pharmacy bill and prescription medications. Aloe Vera is a hardy plant that can be grown indoors in colder climates or do very well outdoors in hotter climates. The gel from the aloe vera plant is soothing for burns and minor skin irritations and aloe vera juice has become a popular dietary supplement to help with a wide variety of ailments. 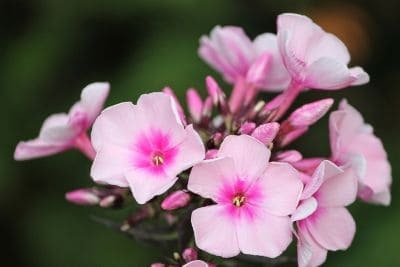 Does well in full sun, needs little maintenance and grows well in any well-draining type of soil. 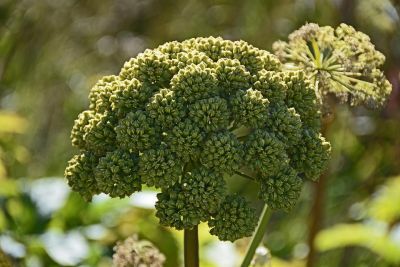 Angelica (Angelica archangelica) can be used to refresh skin or as an eyewash. Also effective against the symptoms of bronchitis and chest congestion. It can reduce pain in joints caused by rheumatism and gout. Plant in a shady area of your garden or homestead. Anise (Pimpinella anisum) is an herb used to relieve stomach upset and enhance digestion as well as other digestive issues including colic, cramps, and flatulence. Use the seeds as a breath freshener or combine in warm milk to reduce insomnia. 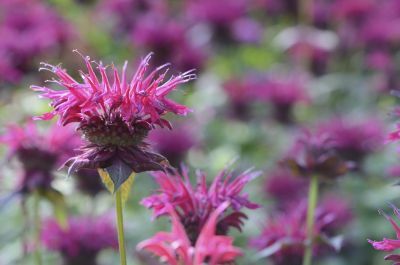 Bee Balm (Monarda didyma) prefers the sunny areas of your SHTF apothecary garden and it will help keep mosquitoes away. Keep it on hand to relieve the pain of a sore throat and ease cold symptoms such as stomach upset, diarrhea, fever, and even vomiting. 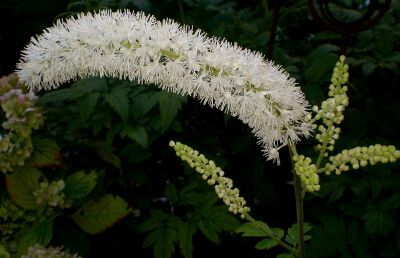 Black Cohosh (Actaea Racemosa) grows wild in the southern and central areas of North America and parts of Canada. It’s a flowering plant that grows tall but Black Cohosh roots are valuable for medicinal purposes. Although scientific evidence is not confirmed, many medical practitioners, especially midwives swear by the benefits of black cohosh for many different things. It can mimic estrogen which makes it useful for a variety of women’s health issues. It also has antispasmodic, anti-inflammatory, sedative, and analgesic properties. Black Cohosh is effective for treating symptoms of menstrual cramps, hot flashes and mood swings caused by menopause. It can also be effective in treating arthritis pain, high blood pressure, congestion, and even blood clots and cardiac stress. Women who are pregnant or could be pregnant should use cautiously as it’s commonly used to induce contractions. Some people may be allergic to black cohosh and it can impact the liver when used over a long period of time. 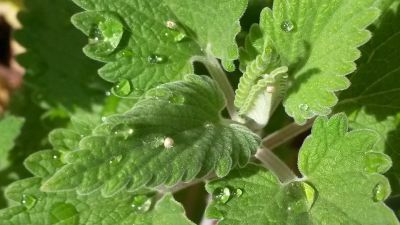 Catnip (Nepeta cataria) is typically thought of as something cats enjoy but it can be planted in your SHTF apothecary and made into a tea to help with stomach upset, colic, bronchitis, as well as anxiety, diarrhea, and flatulence. Comfrey (Symphytum officinale) also commonly called “Knitbone” is great as a poultice when applied to bruises, wounds, and insect bites. The leaves and roots of the comfrey plant contain allantoin, which works to promote wound healing. Comfrey tea has been used to reduce pain and symptoms of bleeding gums, rheumatism, asthma, throat inflammation, and ulcers. Comfrey flourishes in shady areas. Lady’s Mantle (Alchemilla vulgaris) can be used as an anti-diarrheal medicine and also works as a coagulant to slow internal bleeding. It can also be effective as a poultice or paste and applied topically. This plant likes a shady area. 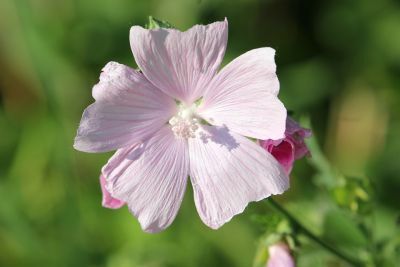 Marshmallow (Althaea officinalis) is a part of the Malvaceae herb family. Its leaves are velvety soft with serrated edges. It has mucilaginous, antibacterial, and antitussive properties which make it helpful for treating swollen mucous membranes when taken orally. It’s also been commonly used to treat digestive disorders to coat membranes and relieve irritation and swelling. Used topically it can relieve swelling caused by skin diseases such as contact dermatitis and eczema. Use roots or leaves to make a tincture, tea, capsules, or ointment as needed. 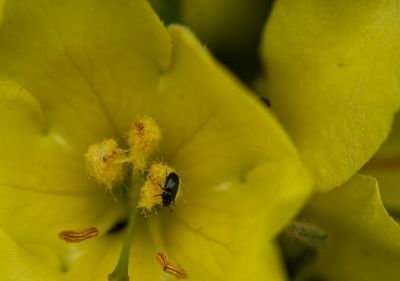 Mullein (Verbascum thapsus) known by many names including hare’s beard, candlewick and Indian tobacco, is used medicinally since ancient times. Technically classified as a weed, its light-grey leaves are hairy with a velvety feel and its flowers are small and yellow. It enjoys sunshine and flowers from November to March. The leaves, oil, and flowers are used in various ways to treat lung and chest disease, as a cough medicine and for respiratory issues such as asthma, pleurisy, bronchitis, whooping cough, and pneumonia. It has astringent, emollient, analgesic, and antibacterial properties which make it effective against a wide range of illnesses. Study its components as each part has different properties that make it effective in different ways. Parsley (Petroselinum crispum) is well known as a garnish for dishes but did you know that it’s actually a nutrition powerhouse? Use to alleviate bad breath, to treat bruising, eye infections, and soothe coughing. Does well in sunny areas of the garden. 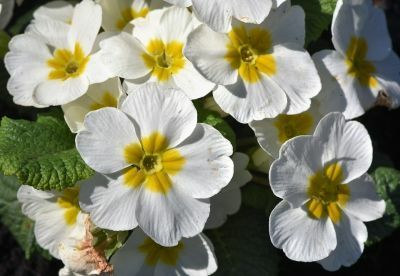 Primrose (Primula vulgaris) is a beautiful flowering plant. Its roots can be decocted to ease symptoms of bronchitis, cough, and congestion in the lungs. AS a tea it can be used to relieve headaches, anxiety, and insomnia. Plant in a shady area. St. John’s Wort (Hypericum perforatum) should be planted in sunnier areas of the garden. It’s a well-known plant used for soothing the itching and other effects of poison ivy. In ancient times, St. John’s Wort was used to relieve nervousness, and to aid the urinary system. Used topically for scrapes, burns, and wounds. The flowers of the St. John’s Wort can be made into a tea to relieve insomnia and treat jaundice and anemia. Valerian (Valeriana officinalis) also known as cut-finger, garden valerian, Phu, and garden heliotrope, has a strong odor that is not entirely pleasant and smells more like body odor. Plant away from your home or barn as the odor of Valerian may attract rodents and cats. But don’t let the odor keep you from considering Valerian fas a plant to grow for all natural healing. 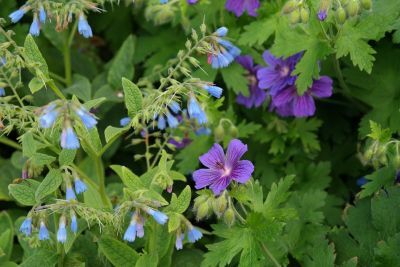 It’s a perennial and does best in partial shade or sunny areas and can be used in a variety of ways. Let valerian grow for at least two years before harvesting its roots and rhizomes for medicinal use. It’s most commonly used as a sleep aid due to its sedative properties, but it also can be used as an expectorant, and antispasmodic to treat coughs, epilepsy, convulsions, stress, intestinal cramping, nervous exhaustion and more than a hundred other things. Do not use continually for more than three weeks and do not use with young children. For elderly, use in very small amounts and monitor reactions closely. 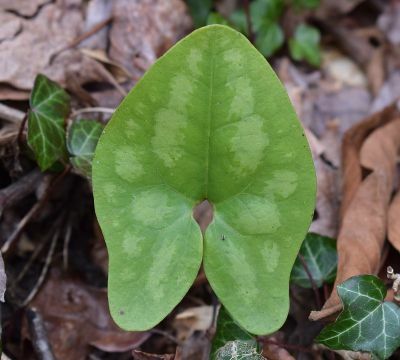 Wild Ginger (Asarum canadense) is a great plant to add along a shady area of your SHTF garden. A root decoction was once used by Native Americans to prevent pregnancy. The roots can also be used in a tea to soothe colic, stomach upset, and reduce flatulence. Have you started your SHTF Apothecary? What are your favorite plants to grow for all natural healing? If you haven’t started your garden yet, which of the above plants will you consider? Let us know in the comments below. Is Urban Survival Even Possible?